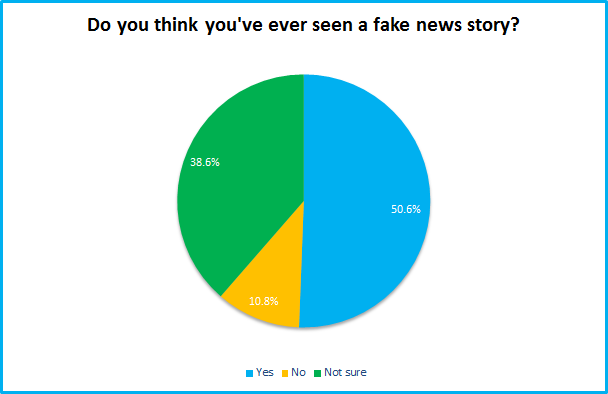 Between Brexit, the US election, and President Trump’s constant attacks casting doubt on the veracity of mainstream news reporting, “fake news” is a term that’s entered public consciousness in a big way over the past 12 months. 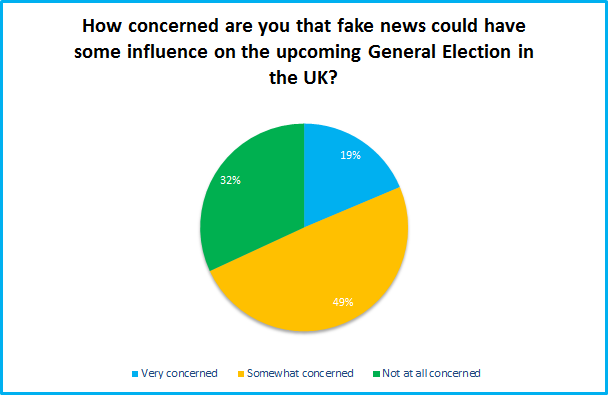 With the upcoming General Election potentially one of the most important in our lifetime, we commissioned OnePoll to survey 2,000 adults across England, Wales and Scotland to discover how much the British public knows about fake news, and whether they think it could influence voting. Could fake news have an effect on voting? 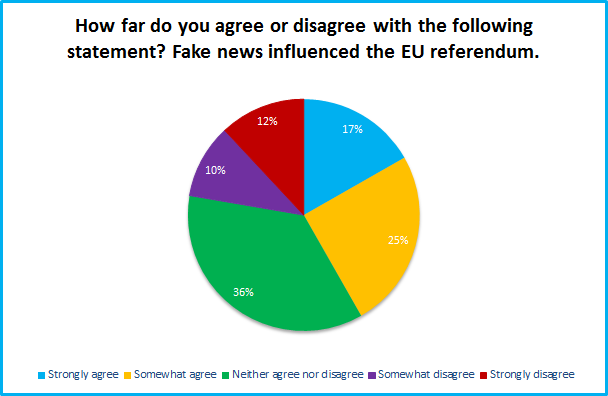 42% believe it influenced the EU referendum, and 68% are “somewhat” or “very” concerned that it may influence the general election in June. 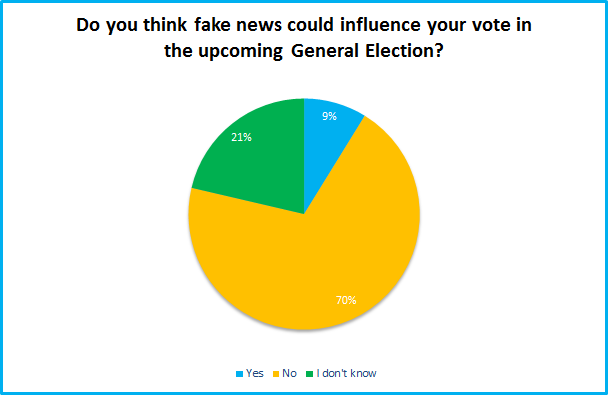 Despite this the vast majority of those surveyed do not think fake news would make a difference to how they vote. 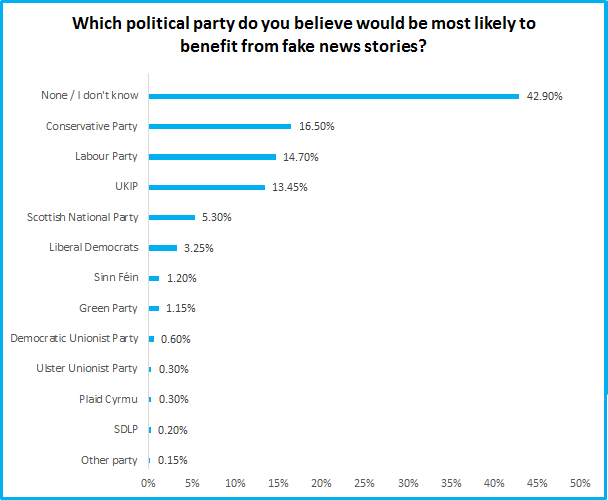 The Tories are seen as having the most to gain from fake news, while Labour may be most negatively affected, according to our respondents. 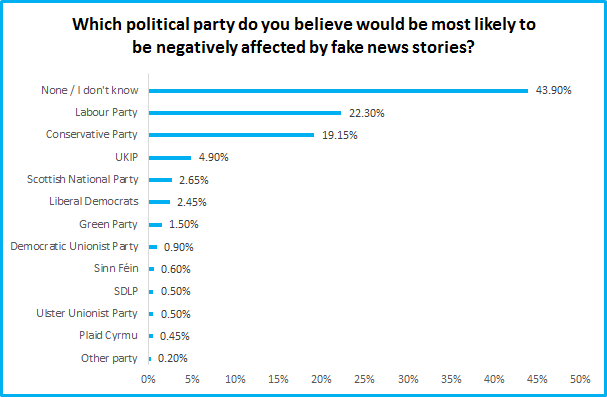 It’s also interesting to note that while 13.45% said UKIP may benefit from fake news, only 4.90% believe it could have a negative impact. 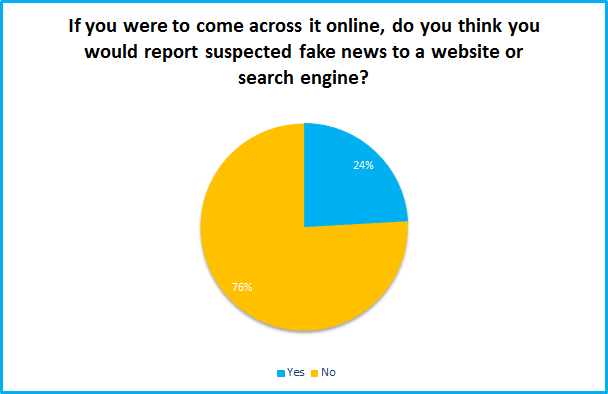 With fake news being so potentially disruptive, it’s worrying to find that just over half of those surveyed believe they have encountered a fake news story. 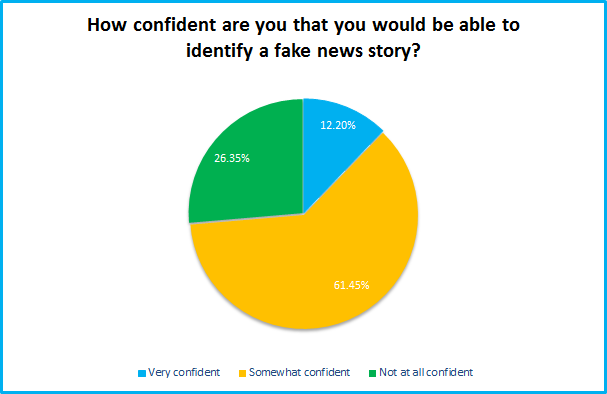 Although with 26.35% saying they are “not at all confident” they could identify fake news, there’s also a concern about how much legitimate reporting is being dismissed as false. 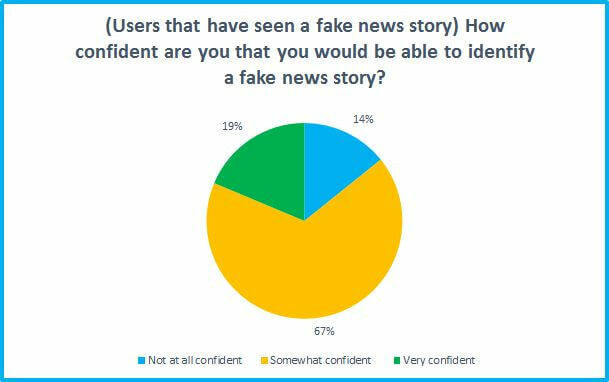 And 14% who said they had seen it, also admitted they weren't confident they could tell fake news from the real thing. 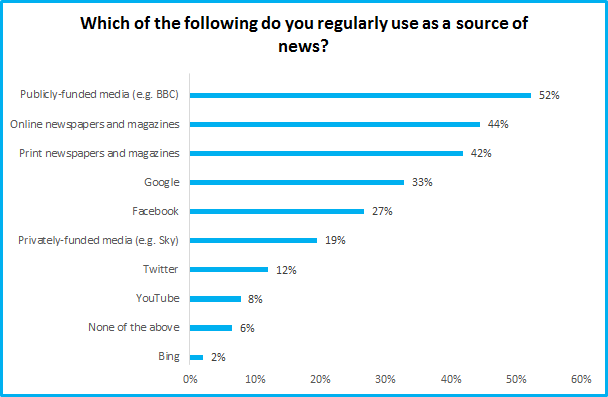 Publicly-funded media outlets such as the BBC are the most popular source of news, closely followed by print and online publications. When it comes to dealing with fake news, only a minority said they would actually report a suspect story to a website. 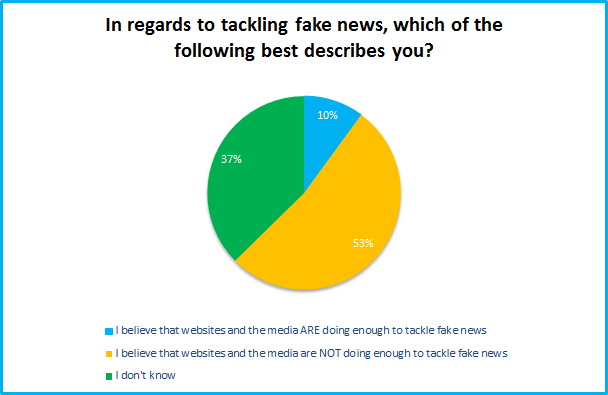 But most put the responsibility for such content on the publishers, with 53% saying they don't believe websites and the media are doing enough to solve the issue. This research was commissioned by Broadband Genie with polling company OnePoll between 02 May - 05 May 2017. 2,000 adults were surveyed from across the UK.